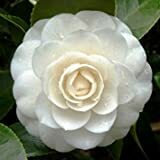 Camellia Japonica growing shrub or small tree of the genus Camellia and also known as Japanese camellia, Camellia Japonica perennial evergreen plant used as ornamental plant, can grow in subtropical, temperate or mediterranean climate and growing in hardiness zone 6-10. 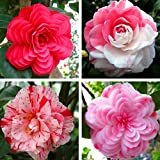 Flower color white, pink, red or more than one color on the flower and can be from simple flower multi petal full flower. White, pink, red or more than one color on the flower and can be from simple flower multi petal full flower.